Being from Belgium, I am really proud of our local talents. We have Dries Van Noten, Martin Margiela, Peter Pilotto, etc. BUT there are other upcoming Belgium brands that I simply ADORE. Omsk is one of them. Omsk is a Belgian clothing brand that first started out as Girls From Omsk. At first it was all about fun, youth but soon enough the brand evolved into a more mature brand and they eventually changed the name to OMSK. I cannot remember how I learn about the brand, but what I do know is that they have an outlet sale every year close to where I live and I get all giggly and fangirly when I hear it’s that time of the year again. I bought the skirt at this year’s outlet sale. The fabric is super delicate but super light. It feels like I’m wearing… nothing at all to be honest (and in a non dirty way). PERFECT for those burning hot summer days. you’re genious ! Nice look. I love these look, lovely skirt. 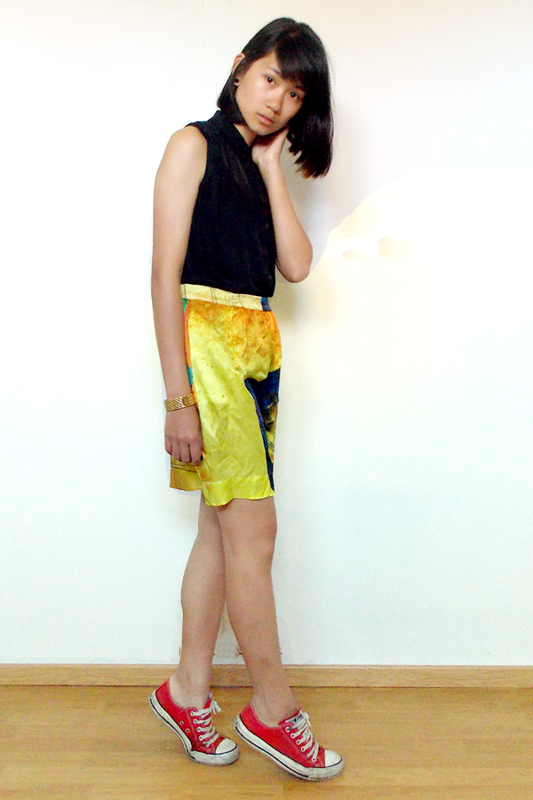 I love the skirt, it almost reminds me of origami. Great outfit! Loving that skirt on you, fab! You’re looking just amazing! Great skirt! 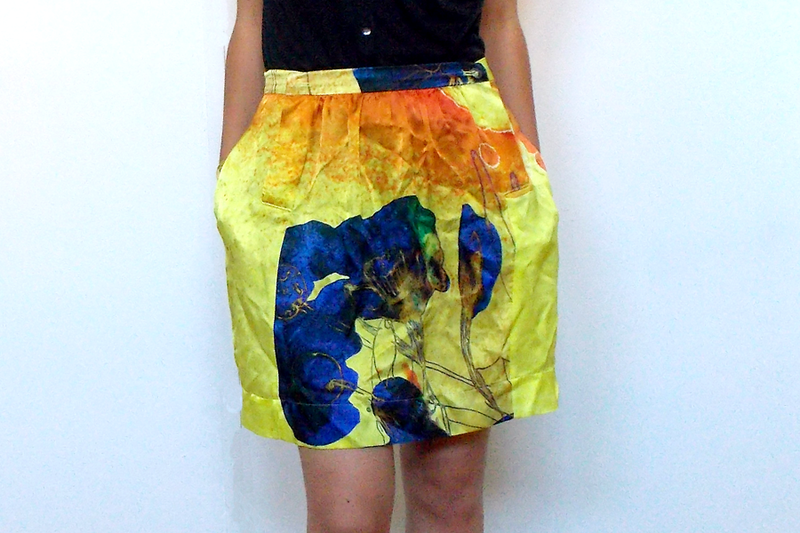 super cute skirt, love the print! Loving your skirt, so gorgeous! so cute how you matched it! love it! Loving the skirt with those sneakers! I very like your skirt! ans shoes! beautiful look!